My daughter’s diagnosis of Rett Syndrome came gradually. First the “Maybe…” from the doctor, then the slightly obsessive online search, and then the realization during the search that yes, that list of diagnostic criteria reads like an exact description of my daughter. When the actual diagnosis came, we already knew. We thought we had accepted it. We didn’t know how far true acceptance really was. Would it become normal? Of course. Rett Syndrome is part of our life now and we are accustomed to it. We take her symptoms in stride, supporting her as best we can with what we have. We live life because we have to—it’s all we can do. But I still grieve. I grieve for the life we imagined yet she will never have. I grieve for the pain she is in, and the things I cannot fix. I grieve for her frustrations—and mine, too—when things are simply too hard for her. I grieve for the pieces of relationships that are missing because of her lack of communication. I grieve and I cry and then I keep living, because it is what must be done. 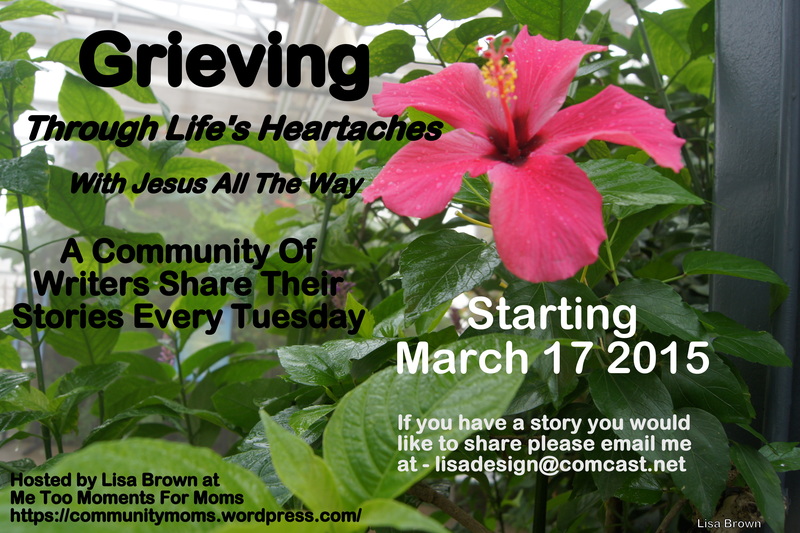 Grieving comes gradually. One day I will think, “I can do this. We’ll be just fine.” And the next day something will happen that knocks me off my feet and I fall to my knees, broken. Just when I think we’ve finally moved on to the next stage—when I think we’ve accepted it—I’m proven wrong. Sometimes I wonder if true acceptance will ever come, or whether it’s simply the Holy Grail of disabled parents. Something we all search for, convinced it will change everything and make life better, yet we’ll never find it. We may find something similar to it, but never the real thing. It is because of our love that we always want more for our children—we desire something greater than the present circumstances. I love my daughter, but I hate her diagnosis. I hate what it has done to her. It’s stolen her voice, crippled her hands, and it regularly gives her pain. I hate that it has stolen her future and her dreams, whatever those might be. She has so much to say, but no way to say it. I wish I could free her from that cage, give her words to speak and hands that do what she wants them to do; legs that move with ease, a straight back, and a brain free of seizures. I grieve for her captivity. Yet in that grieving something is revealed to me. The depth of my Father’s love. The astounding grace He bestows upon us. His own grieving for our pains, our struggles, and our weaknesses. As I grieve for her, so our Father grieves for all of us. She is precious to Him—so much more than she is to me! I cannot love her as He loves her, as I am not her Creator or her Lord. Her mother, yes, and I can love her with a mother’s love. Yet fierce as it is, it is nothing compared to His love for her—for us. Even as I grieve, He holds me. And her. He holds us both, wiping our tears and wrapping His strong arms around us. He allows us to be angry, to hate the diagnosis, to cry and wail and ask, “Why? Why her? When will it end? How long, oh Lord, will we live with this struggle?” He does not shame us for our weary cries. He does not make us feel guilty for grieving. He simply holds us, comforts us, and reminds us that our time here on earth is but a moment compared to all eternity. And yet the lessons we learn here are what carry us over and prepare us for a Life Eternal with Him. When you learn that your child has a rare, incurable, debilitating, silencing illness, grieve. Take the time to scream and cry and moan. Let yourself be angry; let yourself be full of sorrows, for our Lord was a man full of sorrows (Isaiah 53:3). He knows our pains, our weaknesses, our struggles. And He carries us through. Grieve. Let it overtake you, even if just for a moment. And when you grieve, take note. Remember that feeling. When you’ve moaned so long and deep that you cannot breathe—when the screams are silent and become nothing but your gaping mouth searching for a voice—and when you’ve cried so long that you have no more tears, then you will know. You will know how deep and how wide our Father’s love can reach. You will know how to love your child with His love. You will know how much He loves you. You will know that He is grieving right there with you. And knowing His love, knowing He is there to comfort you—that brings joy. Joy beyond compare; joy everlasting. Through pain comes healing. Through anger and doubt comes hope. Through grieving comes joy. 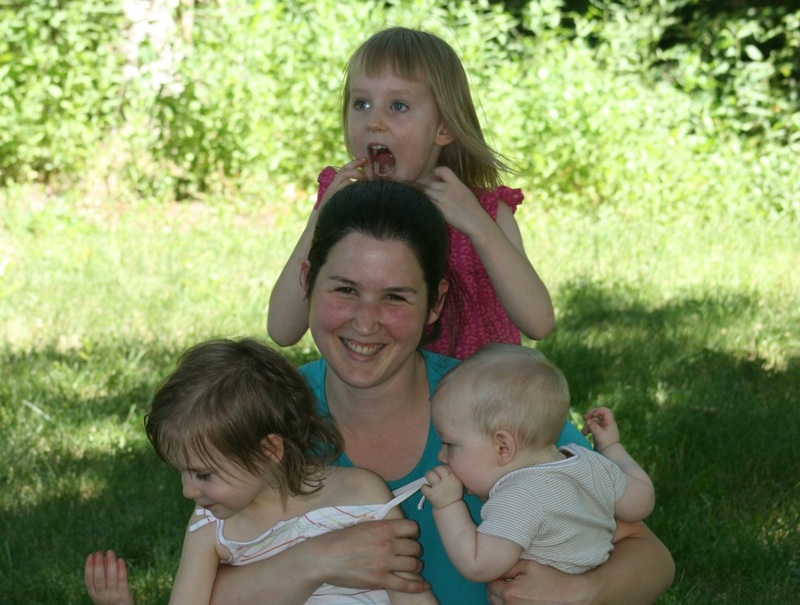 Grace is a wife, homeschooling mom, doula, pastor’s kid, and writer. She currently resides in southern Oregon with her husband and three gorgeous children, where they enjoy walks in the woods, wading in the river, reading good books, and attending a diverse and compassionate church. You can find Grace over at My Divine Blessings where she blogs about special needs, family, pregnancy, christianity and many other things.